How to Manifest Money - #1 Guide For Manifesting Wealth!!! How to Manifest Money – The #1 Guide For Manifesting Wealth & Abundance In Your Life! Now, I’m not saying that just by wishing money and thinking about it all the time it will fall from the sky to you. No, what I am suggesting is that once you change your core belief structure and attitude towards money, once you change your self-image and truly see yourself as a wealthy person, your entire attitude will change. Before we begin with the exact steps I want you to take a look at something very powerful. View the larger picture by clicking here. Read carefully through all of them… It’s a bit long, but don’t be tempted to stop halfway! 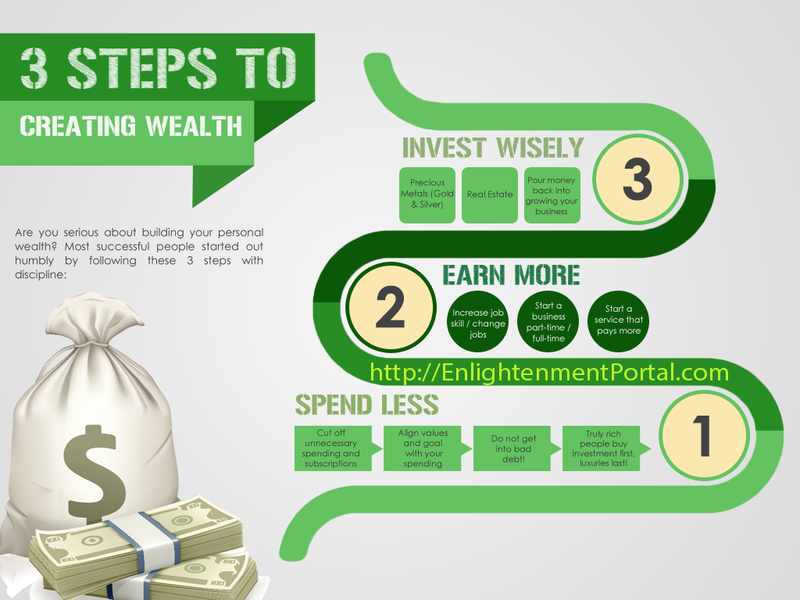 The first step is definitely to be exact with the sum of money you would like to have. How much do you want? A $100.000 perhaps? How about a Million? If you want a house, what would it look like? Would it be in the center of your city or on the periphery? Would be it 2 or 3 floors? What’s your living room going to be like? Decide on all details and form the complete picture. Maybe it is a car that you want to have manifested? Well is it a BMW or a Mercedes? What model is it? What color is it? Be specific. Decide exactly what you want, and if it is money, be concrete and decide on the exact sum. This is vital part of the process and it’s crucial for your success. Spend some decent time, and decide EXACTLY what you want to manifest. The next step is put yourself a final deadline for the manifestation of your goal. Be exact with the date. For Example: You want to have $50.000 by the New Year 2016. This has a strong psychological effect on you so don’t skip it! For Example: You plan to help people find what they want in life over the Internet, and you will be a successful Affiliate Marketer. You will promote valuable products of various individuals and companies that will really add benefit in people’s lives to the ones that will purchase them. Be specific whatever it is. Just make sure that you decide on the exact service you intend to give in return. Consider having a goal card and laminating it, so that you can carry it constantly with you in your purse or in your pocket. Read your Goal Card every day for as much, and for as many times as you can. Do this especially before sleeping and immediately after you wake up in the morning. Read it both out loud and in silence. Put REAL Emotions in it, and believe that this is true. 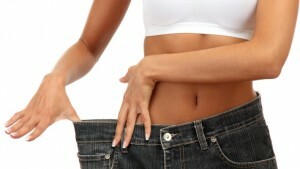 However, don’t neglect the next important steps, as they are very powerful as well. Vibrating money is the secret to attracting wealth in your life – and the best part is that you do not need to actually have it in your bank account before having it manifested in the outer world. Instead of saying that you do not have money, say “It is so good that I am rich. I love Money and Money loves me. I am magnet to Money!” It will not be long until you will eventually become rich indeed. 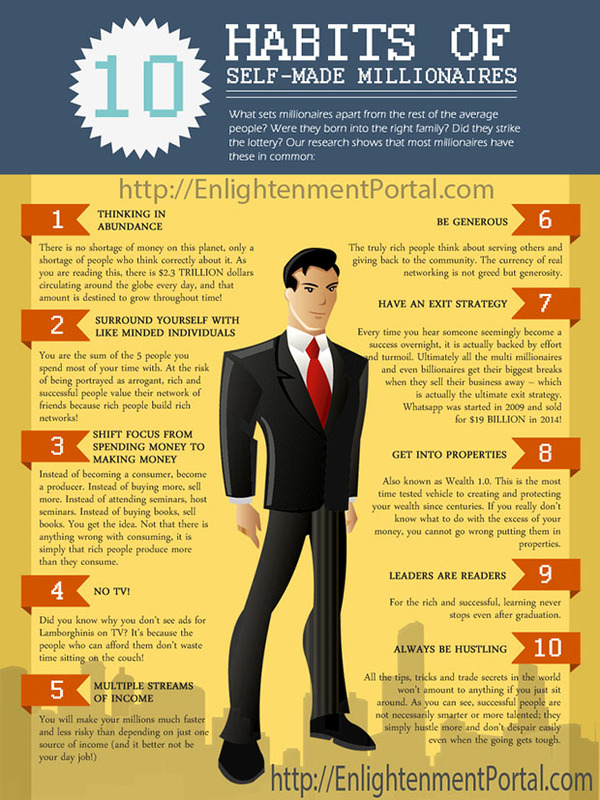 Take a look at these 10 habits of millionaires and start implementing them in your own life! Simply copy-paste the text above! Some people will go a step further, and might even elaborate on how “dirty” money is, and how greedy you must be to want it. This is a huge no-no in your relationship with money, which can actually prevent you from achieving wealth. Pay attention to how you treat your relationship with the money. Do you speak to it kindly? Do you think of it appreciatively? Improve your relationship with money, and you will soon start to attract it in your life. This requires you to change some of your most cherished believes, such those that rich people are bad, money is evil and that God or the Universe wants you to be poor. Money is great! You can buy all kinds of great things to the people you love, you can take your spouse to some of the best places on the planet, you wear the finest clothes, you can eat healthy and organic food every day, you can help your friends and relatives, you can do all kinds of great things when you are rich! This is not meant to be an exhaustive and comprehensive business plan with all the details and tasks in it. Maybe this will happen at a later stage when you will have your own company already working with profit and with many employees, but for now, keep it simple. Again, this should be a general plan like: finish my website in 3 months from now. Until the end of the year, I should have 5 Websites live, generating income. For the upcoming weeks it could be tasks like: 1th week – perform a market research, 2&3th week – write 20 articles, 4th week – buy hosting and design the website, 5th week – put the site live and so on and so on. Your case might be different, but regardless of how you intend to earn the money, the principles stay the same. Just keep it simple, you don’t need to know everything at first, the Universe through its mysterious ways will bring the good that you desire in many unpredictable and unexpected ways. Of course not everything will be exactly like you planned, so at some later stage you will have to make corrections and changes. Here’s a little inspiration for your plan..
Just copy and paste the text above! 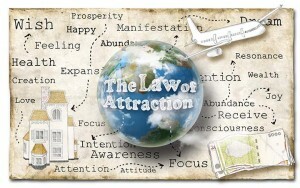 Like attracts like – that’s what the law of attraction tells us. The way you treat yourself is the way the Universe will treat you, too. The better you are to yourself, the better the Universe will be to you – and this is of utmost importance when it comes to money. Appreciate yourself exactly the way you are, and learn to accept your defects as natural and partially changeable. Do not punish yourself when you do something wrong – try to learn from your mistakes instead. Once you embrace self-love and positivity, money will be attracted as well. There are literally thousands of similar examples. All the people that earned extraordinary amounts of money, people that created incredible companies. All of them believed that they can do it! The question is, how do you increase your faith? How do you make your faith so strong and so powerful, like Jesus and Gandhi did? It is very simple, but not as easy as it may sound. Faith is born out of constant repetition of thoughts. If you constantly repeat the same thing over and over again, eventually your Mind is going to start to believe it, regardless if your thoughts are good or bad. However, this requires some effort and some concentration from your side. That’s why you need to practice and visualize your goal. Contemplate it and when other thoughts interfere, cast them away! The best way to earn more money is to appreciate the money you already have. If you do not have any money now, appreciate the money you see around you, or the money you had before. Think about a moment in the past when you were wealthy, and appreciate it. If you have never been truly wealthy, imagine how that would feel like and appreciate it. The goal is being grateful for money whenever you can, even if you do not yet have it. The Universe will get a positive signal from you – that you appreciate money – so it will send more your way. If you really want to become wealthy, you must understand that your behavior has to be positive towards your chances of actually becoming a rich person. The way you talk about money can greatly influence how much you have it in life. ­Are you speaking about it like you need more? Are you talking about it like there is not enough? It is normal at this stage that many questions will pop up in your mind, especially the “HOW” part of the equation. Remember, nobody that has ever succeeded in anything, didn’t know the exact steps required for him or her to get there. It’s pretty much the same with every other big achievement in life. You might know what you want to do, the general plan discussed above, but never the exact steps, the exacts tasks, and the exact things you need to do in order to manifest what you want. So don’t worry about this, don’t summon fear, worry and indecision and don’t feel discouraged. Everything will be shown to you, all you need to do is just BELIEVE in it! Copy and paste the text above! Close your eyes, and gradually acknowledge, accept, and let go of all the thoughts your mind produces. Start by envisioning how money looks – different notes, different values, and different amounts. 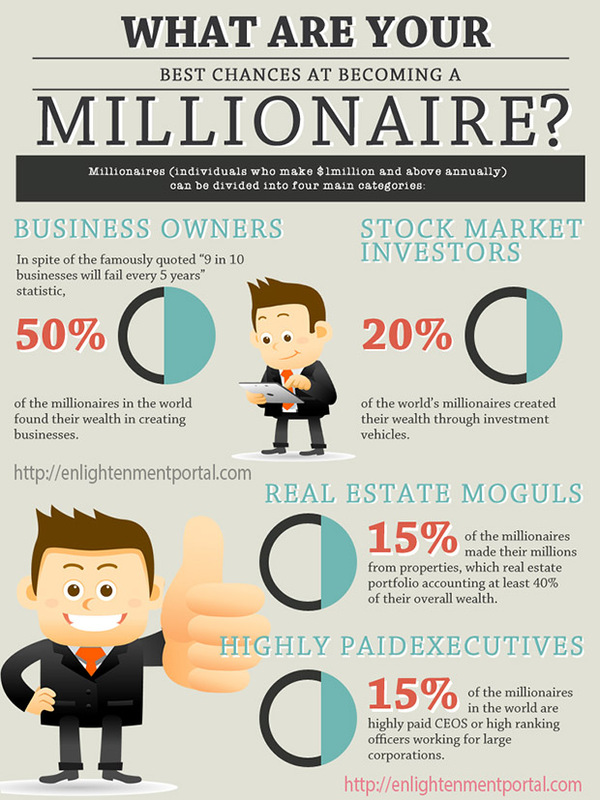 Envision yourself as the possessor of the money – at this point, you should visualize exactly how you see yourself as a wealthy person. Hold this image for a few minutes, and then let it go. Do visualizations every day, and the Universe will notice your wish to have it, hence giving it to you. If you could buy yourself an item, what would that be? What about the second one? 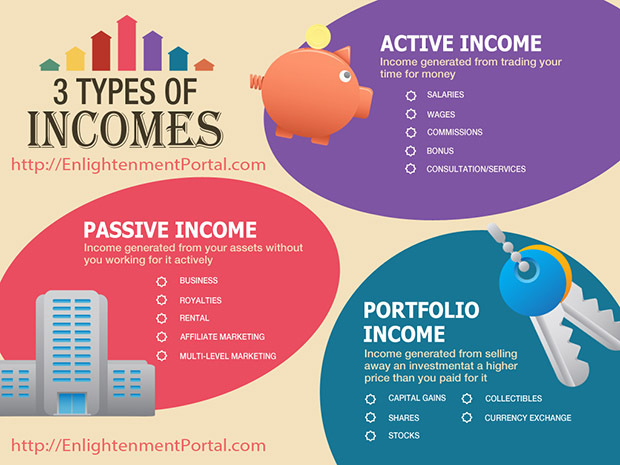 If you are like most people, then it definitely is difficult to choose one or two things – and if you were wealthy, you would not have to, because you could afford buying a whole store. It has been said that giving is receiving – and that works well for attracting wealth in your life, too. Rich people donate money to charities all the time, and that is exactly what you should be doing as well. Help friends or other people with money without worrying or second-guessing yourself. While you do so, think that you have plenty of money, and that you can give it to all people who ask for it. This will signal the Universe to send you more money, so you can have what to give to others. If you are not willing to Fang Shui your entire home, you can at least take care of your wealth and prosperity corner – which, according to the bagua map, is the Southeast of your home/bedroom. Make sure to have some purple, green or gold items in that corner, so you can really attract wealth. For example, you might include a vase of purple flowers, a green plant, or anything that has a golden color – i.e. a photo frame. It will not be long until the Universe will bring you a lot more money than ever before. Once you do it everything is much easier. It will become a habit for you to take wise actions, to plan and seek opportunities, you will always strive for greater success and money will be your constant companion. Remember, money comes as a direct result to the service we give to other people. It’s not something we GET from the world, but a reward as opposed to that what we GIVE to the world. So think of all the ways that you can be of help to other people. Be of great service to them, and the Universe will always reward you tenfold for that. You have the tools now. It is up to you what you will do with this information but one thing is certain…if you neglect and don’t take action…nothing will happen! I’ve been studying the law of attraction and the manifestation process for quite a while now, and I can honestly say that I don’t remember the last time I read such a powerful and comprehensive article on the topic! I’ve been able to manifest $4000 in the last 3 months following similar techniques, and I now feel even more confident about what I do in my everyday life! I’m really glad that I discovered this truth early in my life and I’ll be forever grateful for this information. There is a very good online course on the subject that I’ve recently bought and I just wanted to share it with you and your followers in case you’ve never heard about it. It’s called Manifestation Miracle and you can easily find it just by searching for it on Google! This program literally changed my life! Anyway, thank you so much for sharing your ideas, I really think that what you’re doing at Enlightenment Portal is SUPER GREAT! Thanks for sharing your experience with us Simone! and thank you for sharing your advice with us. think that it is awesome. This has been a truly inspirational article on Manifesting Money…. It is wonderful to have reached your site and to read such posts. You’re most welcome by the way. Thanks again for such great advice. I am already using a Wealth and Prosperity area and am now inspired to use the Feng Shui techniques to assist with even greater success. Changing my core beliefs and thought processes has been hard work yet I have persevered, studied hard and can see for myself actual manifestation results. Well done keep up your good work have a beautiful day. otherwise, all the negativity will quickly find its way to our mind. successful people until we completely reprogram our conditioned mind. Great article! Really inspiring me to manifest more money.Thank you. Wonderfully written and presented. I’m going to share this with my children. all are adults and currently studying. Thank you for generously sharing your thoughts. God bless. I found your website last night, and I love everything I have read so far. It is of great help and a wonderful service you are providing. Keep up the good work! Thanks Tina. I actually have neglected this site for a long time because of my busy schedule. Very Nice article, which helps me and my team. Going across this article has really done me a lot of good. At first I thought of just ignoring it. but something in me told me to read. And I eventually found out ways of manifesting money. The 16 steps are very helpful. Pinned this page for future purpose to teach many people out there. Thanks!